Looking for alternatives to TimeTrade? Tons of people want Online Appointment Scheduling software. What's difficult is finding out whether or not the software you choose is right for you. "Not Ideal For Multiple Date Options: Doodle polls are very easy to set up, send, and respond to. The UI is intuitive and it doesn't take much to get up and running." 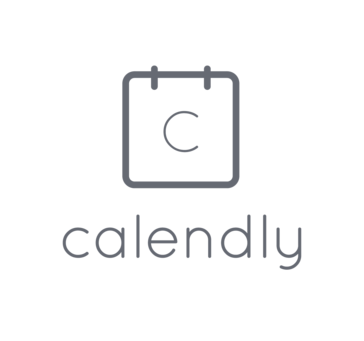 "Calendly works great with Intercom: Calendly's intercom integration creates a seamless customer experience when they are chatting with us and then want to sign up for an online demo. We've never had any issues with Calendly syncing to Google Calendar. A nice feature for someone running several businesses on G Suite is that Calendly looks in all your G Suite calendars and which will help avoid that you get booked at a time when you're booked." "Easy to use software for a very reasonable price: I love how easy it is to use and change everyone’s schedule. It was also very easy to embed the ability to set appointments on our website. The intake form creation process was very simple to make small changes. We anticipate that the ease of scheduling appointments is a great tool for our returning clients. " 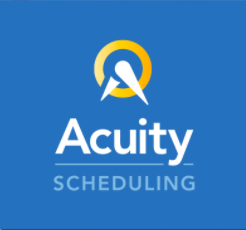 "Scheduling Freedom: I love that You Can Book Me (YCBM) continuously works to upgrade it's systems for a refreshed interface and a better user experience. The YCBM interface is easy to setup and allows for easy calendar integration for Google or iCloud users. You can manage how many days/weeks out clients book appointments, how many appointments they can book, the spacing between appointments, duration of appointments, time zones can be automatically detected, your own personal events can be placed on your calendar so that those times cannot be booked as well. I loved that you could have reminders sent to your clients via text messages an hour or so before the appointment." "Great and flexible system: I have been using simplybook.me for nearly 3 years now and I've always been really impressed with the system. It has integrated well with my website and given me the flexibility to schedule my days and make adjustment where i need to. I find the interface good to use and when I've had to ask for help it's always been there. I have recently upgraded and I am now enjoying even more options to help my business streamline. I would highly recommend Simplybook.me for small businesses like mine!" "Timetap is the best option to get organized: Timetap fascinates us with the automation system of recall campaigns, and how customizable the booking forms are. We like your integration to open API tools, and that your lists of agendas can be exported with just a couple of clicks. We also like that we can create appointments from scratch in a completely unlimited way, without worrying about exceeding any limit. The online payment processing system works properly, without problems. " 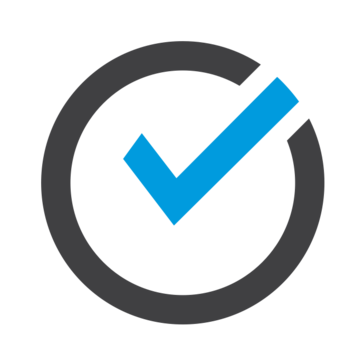 "Reasonably priced, reliable and convenient: I have been using SuperSaaS for over 8 years now. It helped me making my class very easy for students to book/cancel and make my work less. When I had some request for a new feature, they kept it in the request list and when they added I got notified. I like they have a different level of subscription and very reasonably priced." "Avoid: Sales: They are definitely ready to take your credit card. They definitely want to rush you into on boarding so don’t take your time to get your items together. Once the sale has been finished they don’t care about the clients - like a car salesman! Booking Emails: I like the fact that the program sends booking emails on a regular basis. Parents like them for the reminders. Credit Card Processing: It has a nice feature built in that allows credit card processing. They did not tell me upfront that there is a monthly fee associated with it and then said "oh someone should have told you that." Once again, blame game. Documents: The docusign feature is a nice ad on. However, if you want to customize your form, good luck. Pike13 doesn't really want to help you on this and once again try to play the "stupid" card on it. Reports: The reports are nice if you can understand how to use them. They are kinda difficult to get around if your account manager does not explain them in detail. " "Meetings - The Common Language in B2B: Chili Piper’s greatest strength is its ability to package “a meeting.” PandaDoc has an incredibly diverse team with offices in San Francisco CA, St. Pete FL, and Minsk Belarus. Each of these offices has members of our Revenue Team ranging from SDR, AE, AM, CSM, Content Team, Support, and Solutions Engineers. These teams are then specialized to focus on giving a wide range of customers PandaDoc services the best customer experience possible. While the main value add for me is that ability to package and hand off meetings it does also save our individual contributors time in booking and scheduling in a trackable way. We will always take efficiency gains! In combination with our other tools, Chili Piper is the handshake between teams in what our CEO Mikita Mikado and CTO Serge Barysiuk call “The Deal Room” - giving PandaDoc’s individual contributors a head and shoulders advantage over any competitor. " 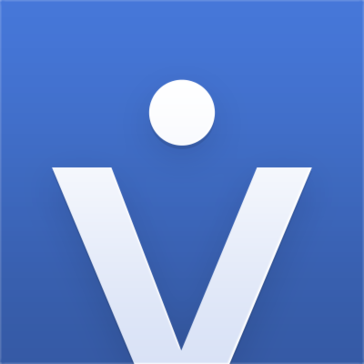 The vCita platform redefines small business by empowering online visitors to engage, driving more opportunities from the web, mobile, email and social. "Very aesthetically pleasing and intuitive to use. : The settings of this program are very straight forward. I have used other programs in the past that are too technical and hard to navigate. This has been a very seamless experience. I like that you can tag clients. This makes it easy to export lists to use with other programs. The notifications are also very useful. The fact that they have integrated text is great because that is hard to integrate 3rd party. " "A well-rounded and reliable appointment scheduling platform: The user experience is very pleasant. The design is clean and light. Signing up for an appointment is straightforward and intuitive with the calendar view. On the account management side, the layout and controls are equally pleasant to work with. I like that I can connect this software to my computer and phone's calendar apps. What makes this platform really stand out is the ability to accept credit card payments." "Square - Schedule appointments. : Something I like very much about this application is that I can have a tool where I can schedule the appointments with all our clients very easy, just with a couple of clicks, I can schedule schedules, days, create alerts, personal notifications, send to our customers, all kinds of reminders about your appointments, if they wish, they can always see the schedule we have scheduled, and look at the open spaces we have to schedule their appointments without any difficulty, and when they call us to make a reservation and they have a bit more detailed information about what they really want to do, this avoids some time, employees and customers, in many ways "
"If You're Unorganized In Your Business, Honeybook Will Save You. But It Isn't Perfect. : Honeybook's workflow management helps me set tasks to happen automatically and in the order that I desire. If you were previously unorganized, this will be a huge change of pace in the right direction. As someone who was already very organized with Excel, I'm still deciding whether or not Honeybook has been a huge improvement or not." A truly versatile and personal online booking page. Clients make a booking and appointments are automatically created in your calendar of choice. "Hard to use, not intuitive. : I like that I can link my calendar and then simply send people to my calendar to schedule a time that works for both of us. I can create custom times within which people can schedule, and I don't have to worry about being double booked. It translates my free time to the user's time zone so it's easy to accommodate users worldwide." "Sufficient, but lacking in a few areas: I like how easy it is to schedule appointments and mark them as completed, rescheduled, no-show, etc. It is also very easy to add new customers and staff members. Overall, it is pretty user-friendly, so I don't have to worry about teaching new employees every single detail. The phone app is definitely a plus. It is sometimes hard for staff members to get to a computer to complete their appointments, but they always have a phone with them. The Recurring Appointment feature is VERY helpful as well and for the most part, pretty easy to maintain." 10to8 is a powerful online booking system that makes appointments happen. Our software cuts no-shows, communicates with customers and fills your diary 24/7 so you can get on with what you do best - running your business. For more information visit our website where you can take a tour of the product, try a free 1-month trial or chat to the customer support team. 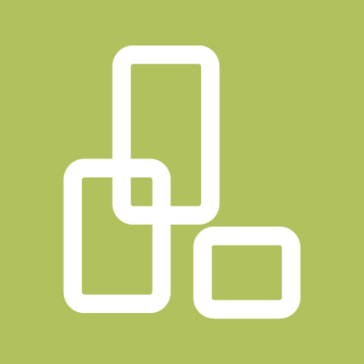 "Optimization and scheduling of appointments. : 10to8 is an incredible tool that allows me to work freely, and have control over the different meetings, appointments and all kinds of programming in our company, thanks to this tool we can have more flexible and controlled schedules, with our partners, employees and users, allowing us to have our time and theirs more balanced, so we managed to obtain a much more flexible schedule for all, before using this tool I remember that we used to have conflicts between schedules, we crossed paths with others, and sometimes it was A bit difficult to have control over this, because we made different meetings with our customers, partners, employees, and it was not so easy to take control of everything, now we have everything programmed, and we are doing great, also allows us to program all kinds of notifications, to each of the members of scheduled appointments, which is ideal for this type of situation." OnSched is an appointment setting software with many other features. It allows service providers to optimize their time and minimize their administrative costs by keeping track of customer information. There are also many other features such as: online booking, automated marketing, and employee performance tracking to name a few. "Easy to use, amazing API, endless customization/functionalities, and amazing support staff! : OnSched's Platform was completely white-labelled to my company, and allowed all of our sales representatives' calendars (whether they used iCal, Outlook, Gmail, etc...) to be instantly integrated with their software. It's user-friendly, reliable, and offers cool functionalities that I continue to learn about on a daily basis." 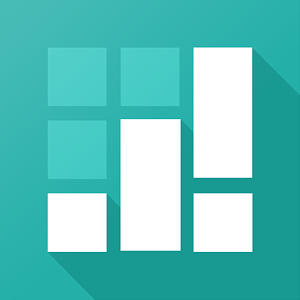 "Helpful scheduling tool: Works well keeping coworkers informed of schedules. Easy to work with and read. Clients ability to see a schedule at any time as well as online scheduling. " 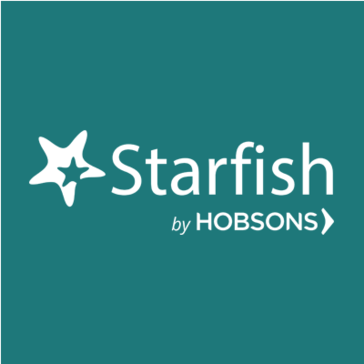 "Starfish Connect Review: The ease Starfish Connect provides for students to make an appointment with their professors and advisors. Seeing the available time slots and days for professors and advisors. Providing the distinction of making an appointment for advising or tutoring is really helpful too. " "A user-friendly appointment app for everyone involved: I like that I can sign up and use Appointy right in my web browser. The menus are neatly organized in the left column, so I can easily find the different settings and make the needed configurations. The interface on both the account owner and visitor's end is nicely designed. The visitor pulls up a straightforward calendar view with dates they can simply click on to see the available times. Everything is automated and processed through Appointy's system, so there's very little hassle and follow-ups needed on my end." Hi there! Would you like help finding solutions similar to TimeTrade?